Dedicated to the muses of music, Love The Arts is Supertonic’s last concert series for 2017. In keeping with the theme, Supertonic will be sharing its love of the arts by donating all proceeds from this concert to The Meteor, to assist with its ongoing redevelopment. The concert opens with some of the world’s most celebrated poets, including Finnish composer Rautavaara’s mystical interpretation of four poems by the master Spanish writer García Lorca, Mendelssohn’s setting of Goethe’s Die Nachtigall, and a throwback to the choir’s very first concert: Vaughan’s Williams’ beautiful Rest, with words by Christina Rosetti. 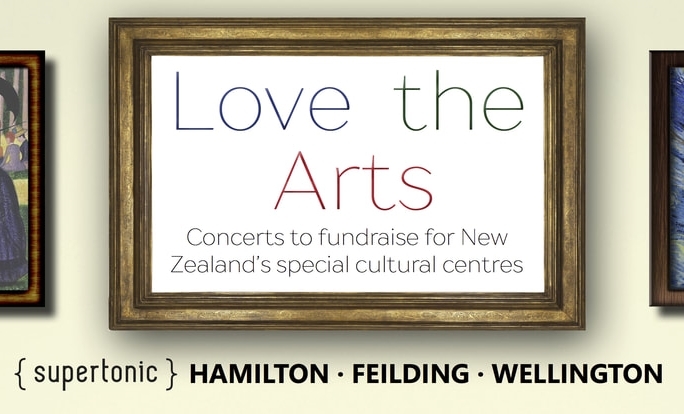 Having spent the first part of the year on folk songs, waiata and rock’n’roll, the choir will demonstrate its classical chops with some dance-themed music from Schumann, Elgar and the audience favourite Polovetsian Dances by Borodin. Unsurprisingly perhaps, music itself has always inspired poets and composers. In the famous hymn How Can I Keep From Singing, commonly sung in the Quaker community, music represents the strength of a higher power above the tumult and strife of human life. The Awakening is Joseph M. Martin’s epic rhapsody that begins by imagining a world without music and develops into a stirring anthem pleading to “let music live”. The concert finishes with music celebrating painters, including Don McLean’s poignant Vincent, Sunday in the Park with George by Stephen Sondheim and a special take on the late David Bowie’s Andy Warhol. Now in only its fourth year, Supertonic (under the direction of Isaac Stone) has cemented its place amongst Wellington’s thriving musical community and is known for combining accessible, provocative and enjoyable concerts with a rich, vibrant and immersive sound. The choir believes that strong friendships, trust in one another, and building enduring relationships is what creates special music for both its singers and its audiences.